Glorius Corporation is an online platform which caters to international buyers who are looking to finance homes here in the United States. Cofounder, Renee Crawford was available to discuss the details with us. They launched earlier this year and aim to bring these very specific buyers together with lenders who specialize in foreign investment mortgages. To begin, they have focused on property in Florida, but are looking to expand to other states as the business grows. 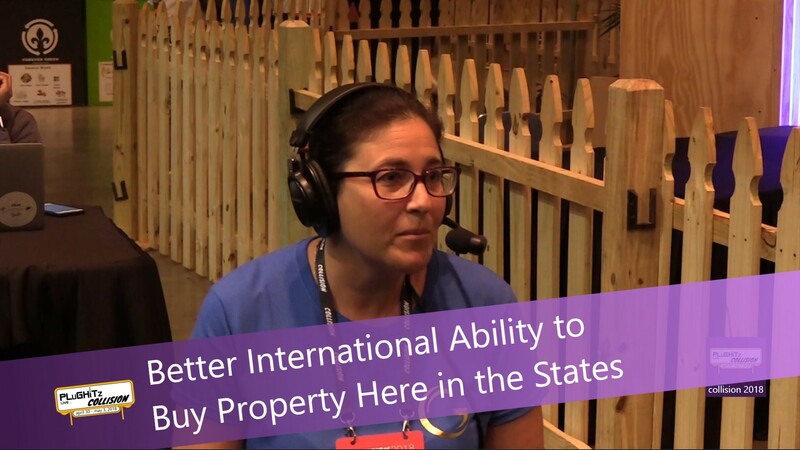 There is definitely a market for real estate sales to buyers and investors from other countries. It is not, however, always easy for these buyers to obtain financing for these large purchases. Most conventional lending institutions have little to no appetite for making loans in this arena due to the potential risks. And the application process is long and cumbersome with multiple requests for more documentation and can still result in your loan request being denied. Renee and her partner saw a perfect opportunity to help both buyers and investors and seized the opportunity. If you are not a citizen of the United States, but are looking to purchase property and don't want to use up all of your cash in the process, Glorius is ready to assist. They make the financing process quick and easy with closings in as little as 5-10 days in some cases. They also enable you to look at multiple lenders and loan options with the ability to negotiate your own terms. No credit reports are required and it's up to you if you want to provide financial statements of income and assets for improved terms. You will receive help throughout the process, removing the pain of complex and restrictive guidelines. And your personal data will remain anonymous until you agree and accept the terms you negotiate with your lender. And the service is unmatched on the investment side, as well. If you are looking for better investments with high return & low risk, Glorius will match you up with the right buyer. You'll be brought together with private individuals to negotiate your terms and manage the documentation directly. You will be the holder of the mortgage and have the ability to choose the terms, interest rates and points that best fit your plans. You can get more information in the full interview, as well as by visiting their website.